What is Glutamic Acid and What Are Its Benefits? 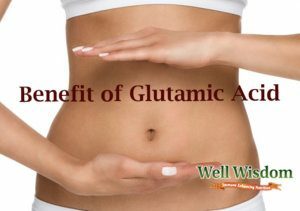 Glutamic acid, better known as glutamate, is an amino acid that is critical for healthy body function. In fact, it’s one of the most abundant proteins, with massive concentrations of glutamic acid in your skeletal muscles and your brain. In excess, it can be dangerous (leading to mental and neurological conditions), but in the right amounts it’s vital for healthy body function. But what exactly does glutamic acid do? What are the benefits of having enough glutamate in your system? ​Better Muscle Function - Glutamate helps your body to produce glutathione during exercise. Which enhances muscular function and speeds up post-workout recovery. Glutamate is also vital for the production of the energy your muscles burn during and after your workout. Healthier Gut Function - The glutamate you get through your diet is used by your gut cells as their primary fuel source. It’s also critical for the production of amino acids in your intestinal tract. When you consume glutamate in your food, the amino acid stimulates movement and increases levels of serotonin in your gut. It also activates the vagus nerve, causing it to secrete serotonin. This, in turn, raises your core temperature and speeds up energy production after your meals. Glutamate is also needed for the production of glutathione. One of the most important antioxidants produced in your body. The amino acid is even able to reduce the risk of ulcers by protecting your stomach lining from H. pylori bacteria! 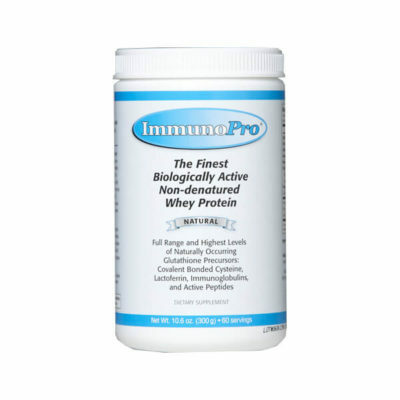 ​Enhanced Immunity - Immune cells contain glutamate receptors, which means that the amino acid could play critical roles in your immune function. Glutamate can help to increase regulatory T cells. Which may be able to help protect your brain from inflammatory neurodegenerative conditions. It can also have a potent effect on autoimmune pathological T cells and cancer cells, as well as healthy, normal cells. ​Vital for GABA - Gamma-aminobutyric acid, or GABA, is an inhibitory neurotransmitter that is vital for healthy muscle contractions. And it plays a role in your ability to learn new things as well as promotes better sleep. Glutamate is used by your body to produce GABA—without it, your body won’t have the building blocks needed for this vital neurotransmitter. ​Triggers Satiety - When you eat glutamate-rich foods, the glutamate sends a signal to your body that you are getting enough critical amino acids in your meals. This helps to transmit a feeling of satiety that shuts down your appetite far more effectively than a full stomach. ​Better Brain Function - Glutamate is one of the most critical neurotransmitters, the chemicals that help your brain to send signals around your body. The vast majority of the excitatory neurons in your nervous system—including your brain and spinal cord—are glutamatergic, which means they are activated by glutamate. Glutamate plays a role in learning and cognitive function. It’s particularly necessary for the formation of new memories. It can also speed up brain healing after an injury. Low levels of glutamate. On the other hand, can cause problems in your brain—adults with schizophrenia tend to have lower glutamate levels—and are linked to disorders like epilepsy, major psychiatric disorders, and poor brain development. ​Healthier Bones - Glutamate is a critical component for your bones. It stops your body from producing osteoclasts. The cells that degrade your bone tissue, and may even be effective in treating bone diseases like osteoporosis. For healthier, stronger bones, you’d do well to consume more glutamate-rich foods. Neurological disorders, including cognitive impairment and brain disease. Epilepsy, which has been linked to excess levels of mGluR5, a glutamate receptor. Brain damage from traumatic brain injuries, as the amino acid leaks through the brain-blood barrier. ALS, as excess glutamate accumulation can damage the nerve cells, leading to the progressive disease. Depression, particularly major depressive disorder. Neurodegenerative diseases like Alzheimer’s, as too-high glutamate levels can affect brain function. Multiple sclerosis, as the amino acid can interfere with nerve cell function. Chronic pain, as the glutamatergic synapses communicate the sensations of pain and itching around the body. Diabetes, thanks to the accelerated damage to pancreatic cells caused by the glutamate. As you can see, while glutamine is healthy in a “normal” range, it can be seriously dangerous if it gets out of control. Fun Fact: Glutamate is responsible for the meaty “umami” flavor in these foods. It is responsible for satiating your appetite and signaling that you’ve had enough to eat. MSG is one of the most common sources of glutamate. How Much is Too Much Glutamate? 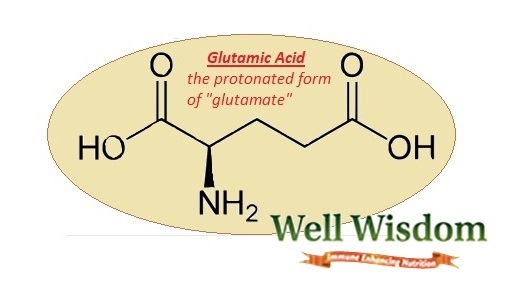 Glutamic acid is typically consumed via the food you eat (see the above list). But sometimes it’s taken as a supplement by those who are unable to produce sufficient glutamic acid on their own. The human body doesn’t need more than 3 grams of glutamine and glutamic acid per day. More than 3 grams per day can lead to gastric stress. Can harm to your digestive tract, not to mention all the above-listed downsides. Too much of this amino acid is definitely harmful for your body. So, it’s vital that you keep your glutamic acid intake to a healthy level. Thankfully, glutamate is no longer considered a hazardous food additive. 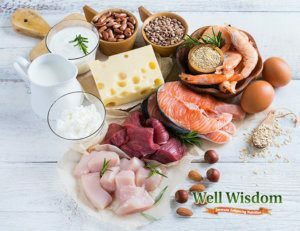 As long as you’re not overdoing it on MSG-rich foods, you shouldn’t have to worry about negative side effects. 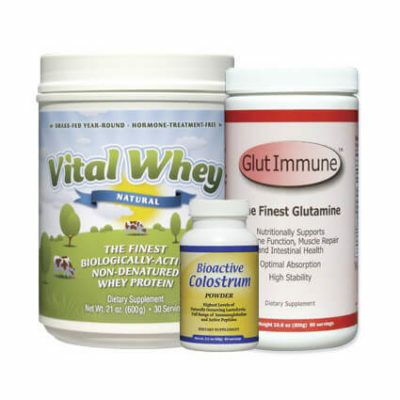 Many people confuse glutamate or glutamic acid with glutamine. While the two are related, they aren’t the same. 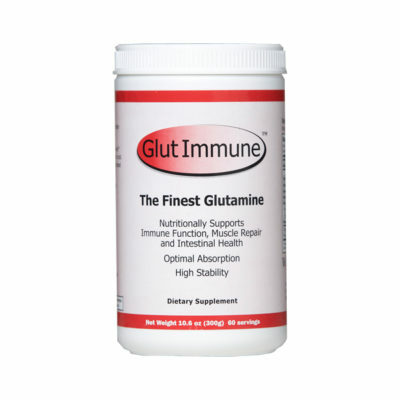 Glutamine is basically glutamic acid that has bonded with a mineral ion. 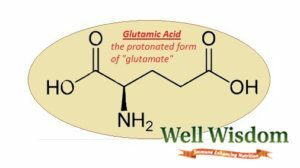 Glutamic acid is an amino acid produced by the body, but only once it has attached to a mineral ion is it converted into glutamine. I have problems sleeping, cannot fall asleep at all, worked myself into a state of depression until I read this; patients in states of exhaustion and who have cognitive brain dysfunctions often have a glutamic acid deficiency. anxiety, tension, sleep disorders and INSOMNIA. My Dr. could not help me, went to a sleep study they could not help me. I have been taking 500 mg of Glutamic Acid for a week now, sleep like a baby. Now, my question is, will this harm me in any way, AND, if I have to stop taking it do you have any suggestions on what to take to get to sleep. I HAVE TRIED EVERYTHING. Where can I get glutamic acid, and in what forms is it available ? I had taken it a few decades ago in France and it helped my memory quite a bit. I really would like to give it another try. The health food stores I went to guided me towards L-Glutamine, which I find out is an entirely different thing.